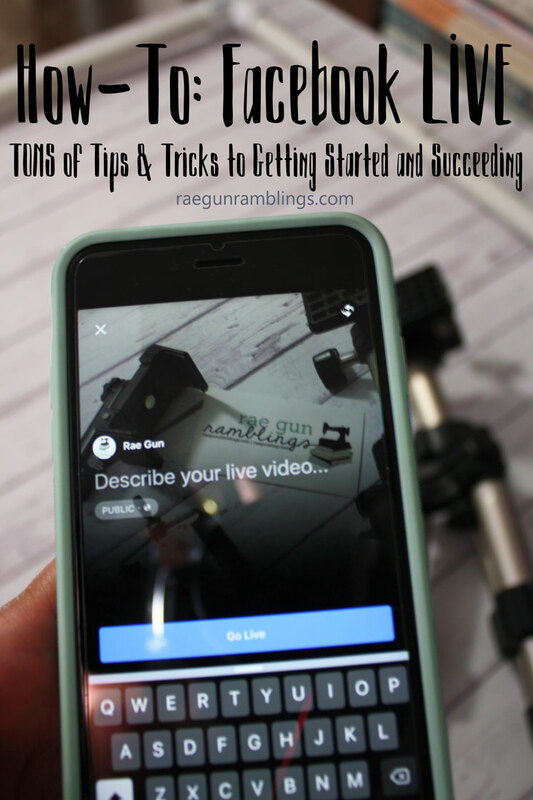 Facebook has introduced this fun feature called Facebook Live and it’s a GREAT tool for bloggers and other business owners but it can be a bit daunting at first. I’ve been playing around with FB live on my page (raegunwear) as well as a few pages I contribute to We Heart Books and The Daily Seam. And I have noticed a HUGE improvement in my FB. I’m just going to be honest I HATED FB before. I hated the game of it but I feel like we’ve been giving an opportunity with FB LIVE and like all things it will go away but for those of us who can hop on it we can really benefit. 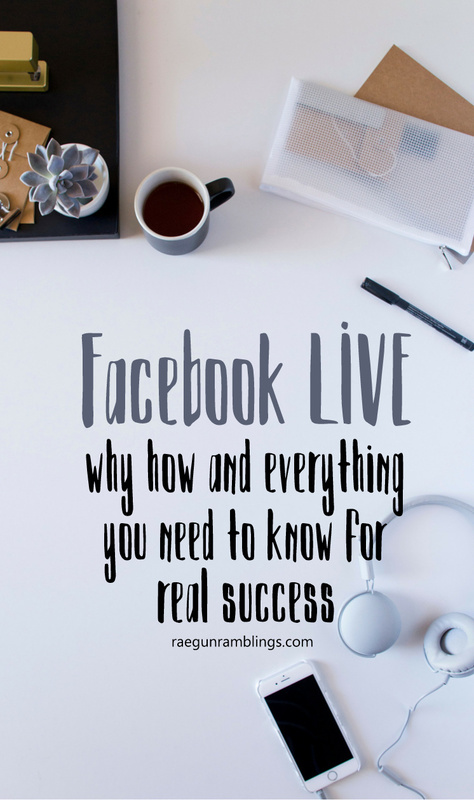 I’m going to focus on the HOW as opposed to the WHY but here are my top reasons why you should think about adding FB live to your social media plans. 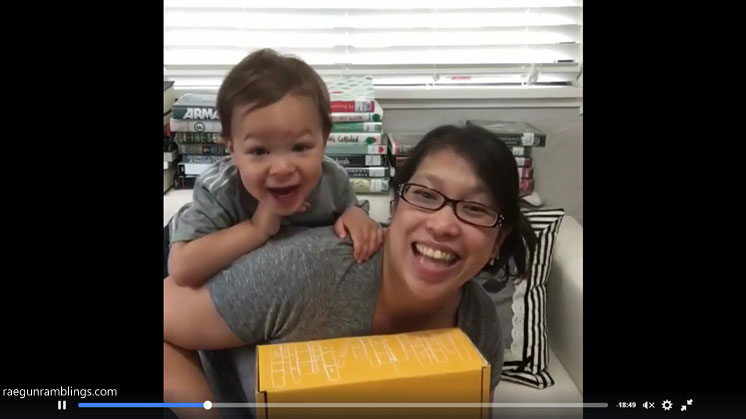 Engagement: I attended an online blogging summit recently and one of the speakers (I think Quirky Momma‘s Holly Homer) said that FB live gets 3-4 times the engagement of any other type of post. And I believe it. People like to comment and they comment often because at it’s root it’s a conversation. Growth: I have seen a boost in the reach of my other posts and my followers. Reach: You know how FB doesn’t show anyone your posts? Well they DO show them your live videos. Live videos have priority in your feed. You can get insane reach especially if you have a few people help you share your post. Like 20 times your normal reach insane. Realness: When people see you live they connect in a way that isn’t possible with your regular posts. People love to see behind the scenes and when they connect with you in this way it makes them interact with your page differently. They are no long visiting the Rae Gun page they are visiting Marissa’s page who they hung out with and chatted with the other day. Disclaimer: I am not a pro video person, in fact I don’t know much about video…at all. I am not the best at FB Live but I’ve done a handful now and that has taught me a lot. I’ve had a bunch of blogger friends ask me to share my tips so here they are. If YOU have experience with FB Live and have suggestions to add I would love you to put them in the comments. These are just the things I’ve picked up through trial and error myself and from watching friends do live too! I will update this post as I learn new things so feel free to pin it for a handy reference! My biggest tip is to JUST DO IT. Just force yourself to do it. The first one is by far the hardest. For me I get too nervous if I plan too far ahead. I decide to do it and then get my supplies together, description typed, and go on! You will learn something and if you hate it you can just delete it. People like the peek behind the scenes and to see that you are human. Like why do people like watching me do my nails? I get the first time seeing nails stamping, but over and over? Who knows but they do and you know what I love chatting and getting to know my audience more so it’s a win win. Before you go live on your page go live for practice. 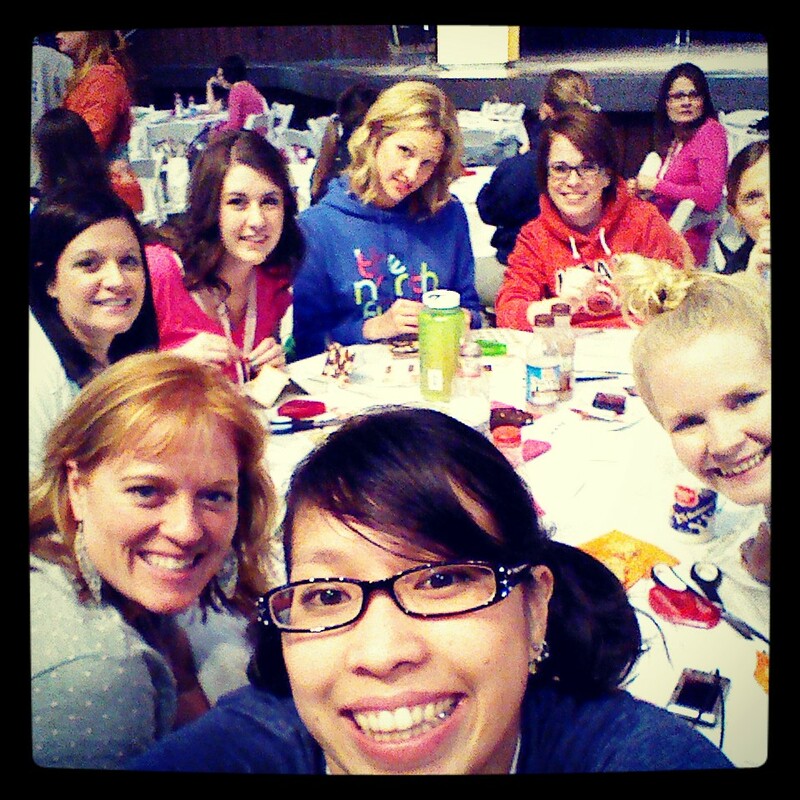 In a small group of friends or just create a practice group anything. Just so know you the steps and how everything works. Any relevant links or at least a link to your blog. Make sure you have a strong internet signal. You can test it in a private group if you’re not sure. If you’re not somewhere very quiet consider using a mic even just the iphone earbuds that have the built in mic can make a huge difference. Test out your camera angles, tripod, however you’ll be setting up your shot. Contact any friends and ask them to come chat and share to help. I have some blogger friends I notify when I’m going live and I text my sister and she helps me to do a couple shares too. It’s nice to have people to help get the conversation rolling. Most of us have not seen any benefit from doing a pre-live announcement but some like to do it. I find it helps get some friends on if I post on Instagram that I will be live. Set your phone to do not disturb. Make sure that your do not disturb settings prevent everyone from getting calls through and that it’s set for always not just for when the phone is locked. The default is to let your contacts through and that can interrupt your stream. From the Pages app click write post then click on the guy with circles/waves/halos coming out of his head. This will open a dark live screen. Copy and paste your prewritten description. When you click to go live it will count down FAST 3 2 1 and you will be live. No one will be there. Even if you told 100 people who are waiting by their phones and computers it takes time to load the page and get on. I have watched many live videos where I knew they were going on. I was ready for them and I still felt like I missed a bunch because they started so fast. Say hello and introduce yourself. Chit chat about your day or the project it doesn’t have to be related to the project and during this time share your post. Feel free to tell them you’re going to share this so that other people can join and know you’re live. Ask them to answer a question while you’re doing that (ex. where are you watching from) To share yourself you will need a 2nd device, I like to have my laptop sitting by me. If you dive on in people will think they missed too much when they realize you are live or just be totally confused. Share the post to any relevant groups that you have permission to share starting with the largest. It’s helpful to have friends/VA’s/sisters do this for you. 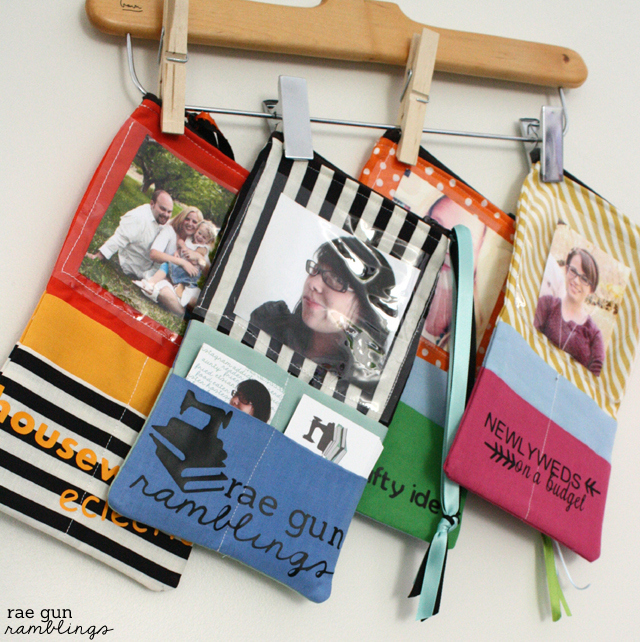 If you are doing something crafty or creative feel free to share into my Craft and DIY group! This will sound weird but share it to your page wall yes the very same place you are live. 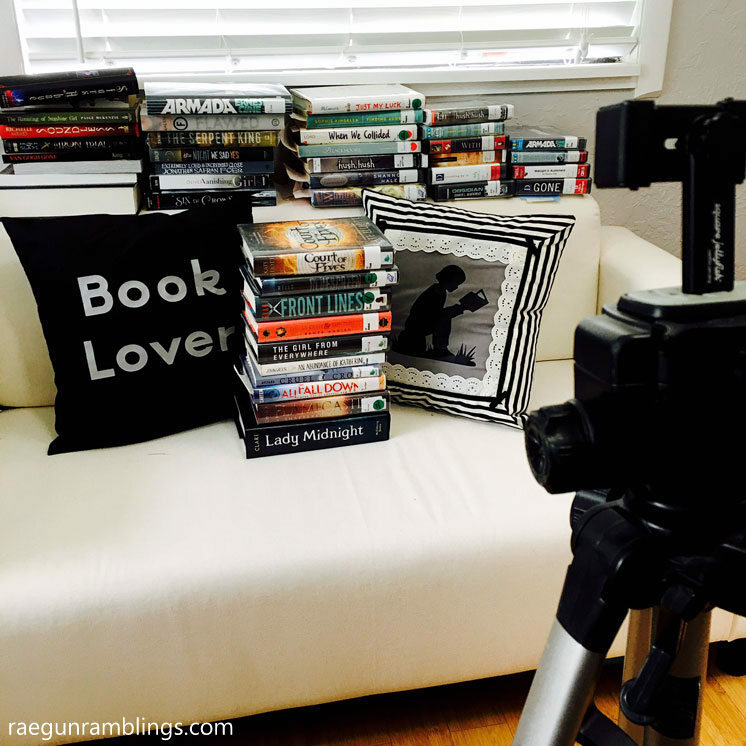 SO for me I go live, I share to 2-3 groups, I share to Rae Gun Ramblings (and if it fits the We Heart Books and/or The Daily Seam) and I share to my own personal timeline. 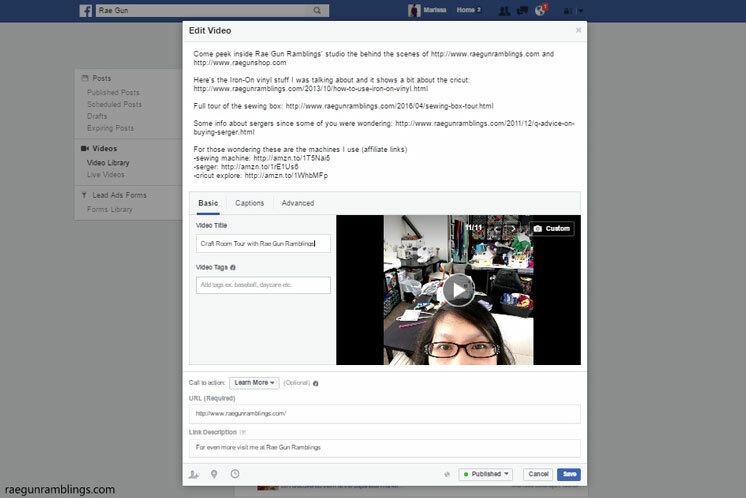 I also try to throw links in share groups that have FB live threads or ask friends to do that. Introduce yourself again, explain what you will be doing. As you see people come in (there’s a running number of viewers) ask them to introduce themselves and ask them a question (ex. Where are you from? Have you ever made X? Have you ever used this technique? What did you have for lunch? What is your favorite book? ANYTHING it doesn’t even have to be related to your topic. 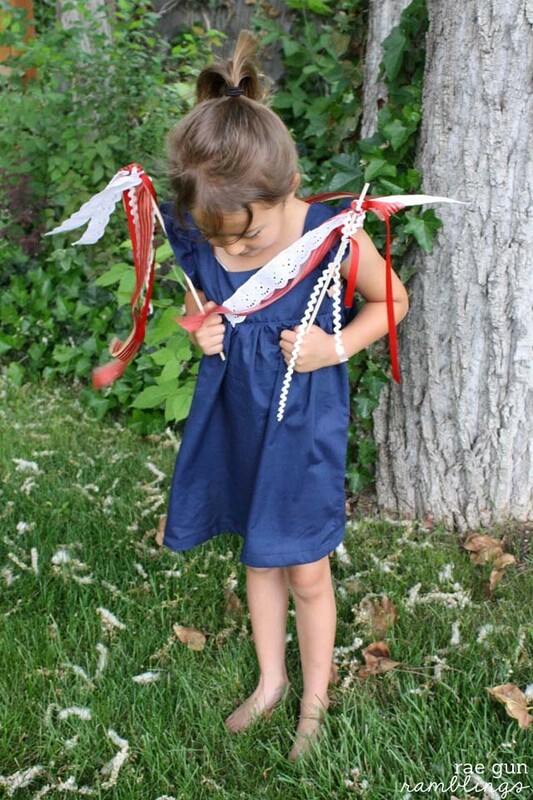 You can be doing a craft but mention that you’re in the middle of potty training and ask for any tips.) Just something to get people talking. ENGAGE!!!! This is one of the most important parts and what makes FB live special. Thank people for showing up, comment on answers, ask follow up question. You will feel like it’s taking a long time and that you must be boring. YOU ARE NOT BORING and if you are people can click away, if they are watching you are doing fine. Also it’s normal for people to pop in and out so it’s new to many viewers all the time. It is much more frustrating when people hurry through and you can’t keep up than for it to be a little on the slow side especially at the very beginning. Every once in awhile stop your program/tutorial/recipe/etc. to welcome new people and reintroduce yourself. Give a brief overview of what has happened and check in and respond to comments. Tell people if they missed the beginning or can’t stay until the end they can save this by “sharing this post to their timelines” and liking your page. That way it will be easy for them to find later. Do this every once in awhile especially if you see a spike in the viewers. Try and reshare (or have someone reshare for you). If you can manage it reshare every 15-20 minutes to your own page. Or aim for once in the ⅓ or ½ through. Really anytime you reshare will help. After you are off you will hide the shares from your timeline. When you’re finishing up remind people to subscribe since we know the button shows up when you sign off. Try and ask them to like your page and subscribe through out the video but I personally have only seen the subscribe button pop up at the end of a video other’s swear they’ve seen it while I was on so who knows. When you are done (either the 90 minutes is close or you’re done with what you want to do) say good bye ask if there are any more questions and wait because there is a delay. Don’t end the live stream while you’re saying good bye I see this all the time. Say good bye pause look at the camera push the button unless you’re maxing it out ;) Before you actually sign off remind people to subscribe. You should get the option to save the video. It only works 60% of the time for me. But you can download it from FB later. Edit your video. Click on videos then video library then the edit pen. Select a thumbnail or upload a thumbnail. Click on “no button” to add a call to action button. It will give you the option at the bottom and then you will be asked for a URL and a description. Download if you want by going to the permalink. To get to the permalink click on the timestamp of your video if that just gives you a black pop up page click on the timestamp again. From that page it should give you the option to download. Feel free to reply to and like comments. I don’t know what’s best. I find I’ve replied to most verbally while I’m live but at the same time it feels weird to have a long list of comments with no reply. Sometimes I’ll thank them for tuning in or if they asked a question a future viewer asked I might answer it again as a comment. Congratulate yourself for doing it. Come comment and let me know so I can go watch it! Let real life happen. If you’re kids pop in let them say hi, roll with it people like seeing real life. Holly Homer is the queen of live and she’s had a dog throw up on live video. She just told the audience that she had to deal with real mom stuff for a second. Let the video roll went and cleaned up the dog and kid and jumped back on. On one of my first videos I bought the wrong pieces for a how to video people still loved watching and it was fun and good practice. Just try and laugh at any bumps and hiccups. Crafting (and really all of life) has fails. Even if your project doesn’t turn out it’s nice to bond over that. Be honest that you are nervous or it’s your first time or you’re not sure how it will turn out. FB live isn’t a perfect type of thing. Don’t focus on trolls if you get any them and hopefully your audience will help get rid of them. If you have another admin on your page they can help too. If FB says you’ve lost the signal tap your screen and usually it’ll come back. If your comments aren’t refreshing try scrolling up and down or try to look at them on a second device. Refresh the page on the second device often to make sure you can see the comments but keep in mind there is a delay. Usually my comments will start up again on my phone even if they stall. If you get kicked off or you time out just start another feed right away and add the permalink into the description and comments of the first one. I have been shocked at how willing people are to jump to another video when this happens (I had a friend restart at least 4 times and people kept jumping back on). Things will start to go wrong as soon as you plan to go live. Here are just a few that I’ve witness: Kid refusing to nap, Router dying, blog being down (okay I do recommend if you want clicks to the site to make sure it’s up BUT I kept prepping like I was going to go live and it did get up in time). Try and push through and don’t give yourself the excuse not to do it. If something weird happens know you’re not alone. Have your supplies close but not prepped. This gives people more time to see what you’re using and will force you to slow down. Show them all the supplies/ingredients. Give them time to see them. Give the person that is listening to you in the background time to click out of another tab and look to see what you’re talking about about. Interact and engage. This is good for so many things but can help your pacing. Anything you would blog about. Anything that is behind the scenes. Wandering around a cool location your town might be boring but it’s fun to peer into other people’s lives! Give a tour of your workspace. 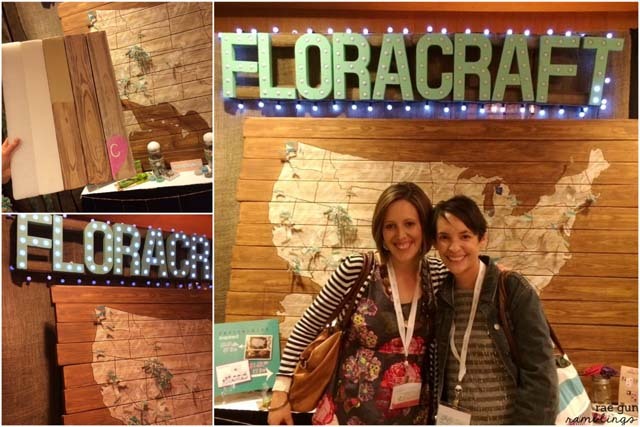 People loved my craft room tour! Really basic how-tos. 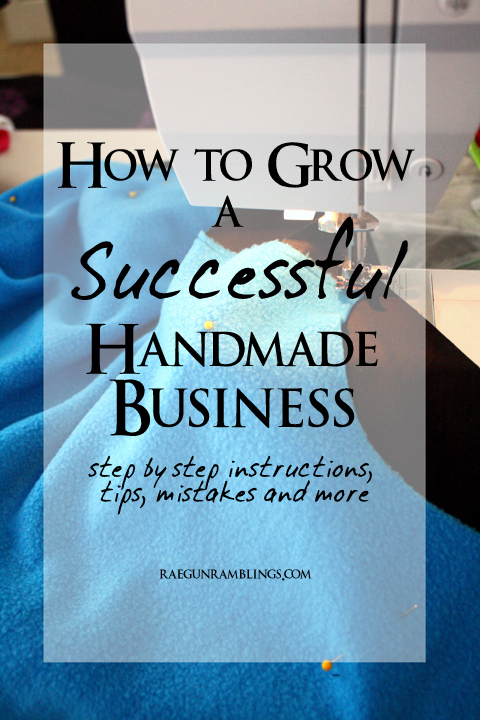 Even 10 minute sewing projects or recipes take a long time to explain and repeat and show people the steps. Holly Homer feeds turtles and people swarm to watch. See I told you anything! You first and foremost need a device that is able to go live. In most cases this will be a phone or tablet with the Facebook Pages app (if you’re going live to a page) and a strong internet signal. I haven’t used a mic yet but sound is probably the MOST important thing. Iphone earbuds that have a mic work well. Also people have mentioned blue tooth mics. 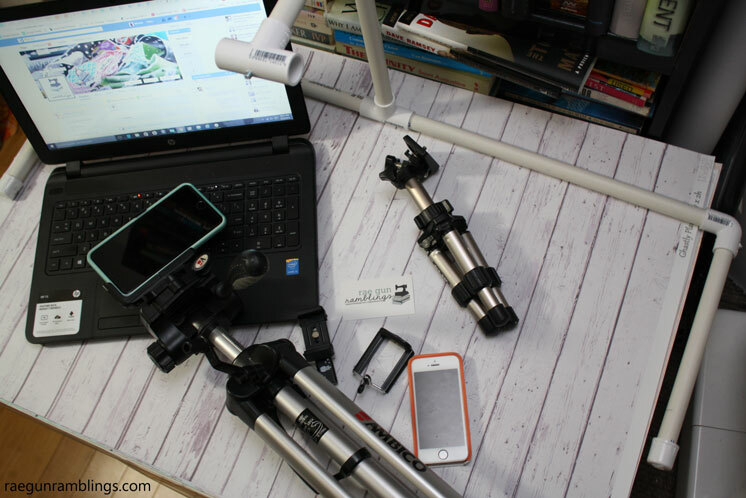 Tripod(s) that can hold your device. I have a traditional tripod that I add a phone adapter to. This is my favorite phone tripod adapter because it fits my huge iphone 6plus and can be turned depending on orientation. For an overhead view I made a table top tripod from PVC pipe the link to the tutorial is here. Consider your lighting you might want something depending on your setting. 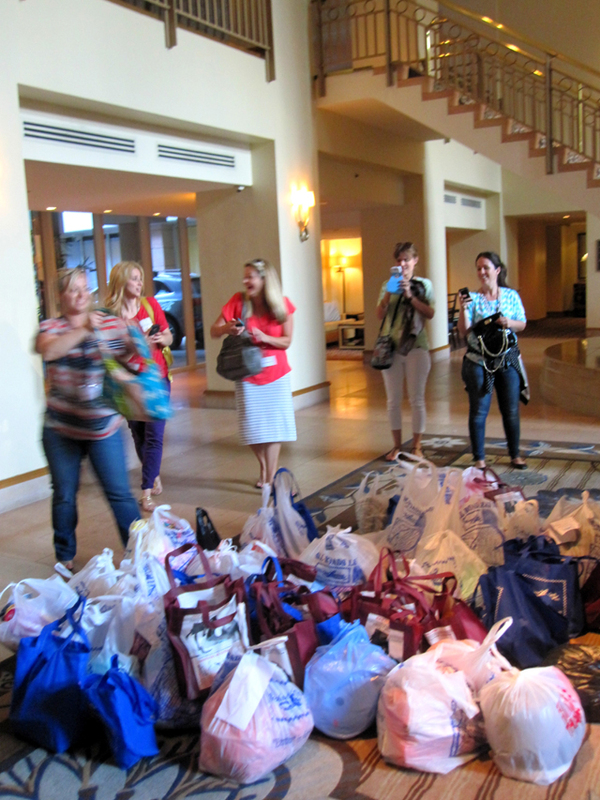 Take time to hold up the supplies and give people a good look. I’ve seen good success with people repeating crafts. Like make one completely and then make another. Link any related posts or products that you might talk about. Consider your clothing, camera angle and movement. Ask me how I learned this one ;). A few weeks ago there was some DRAMA. A mean person posted other people’s pictures implying that the work was crappy and that they should be ashamed. Stuff like crocked sewing lines, wonky button holes, that kinda of thing. Not only was the post down right mean but the comments were vicious. It was a group of mean hearted ladies that think that perfection is the only thing that’s valuable when sewing. They seemed like that old school of thinking that teaches by focusing on all the errors and shortcomings. 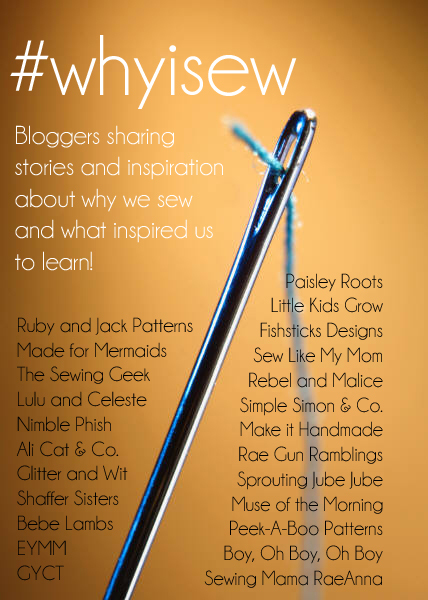 But with all of the hullabaloo it got a bunch of us sewing bloggers thinking, Why do we sew? 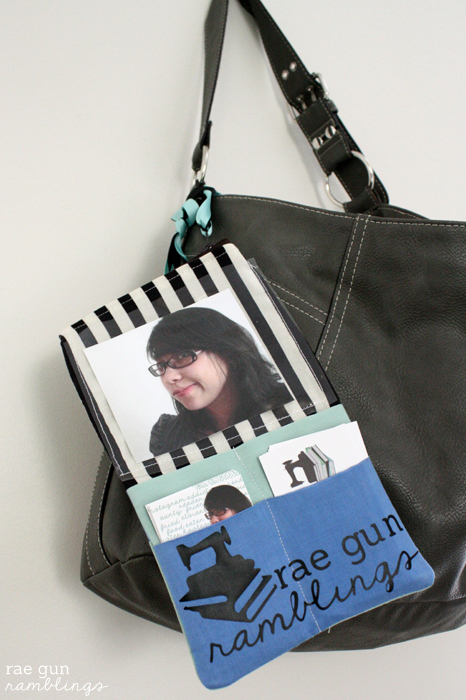 And more than that, why do those of us with blogs share our sewing projects and tutorials? Were those meanies right even if they could have said it in a nicer way? Is perfection really the only goal? 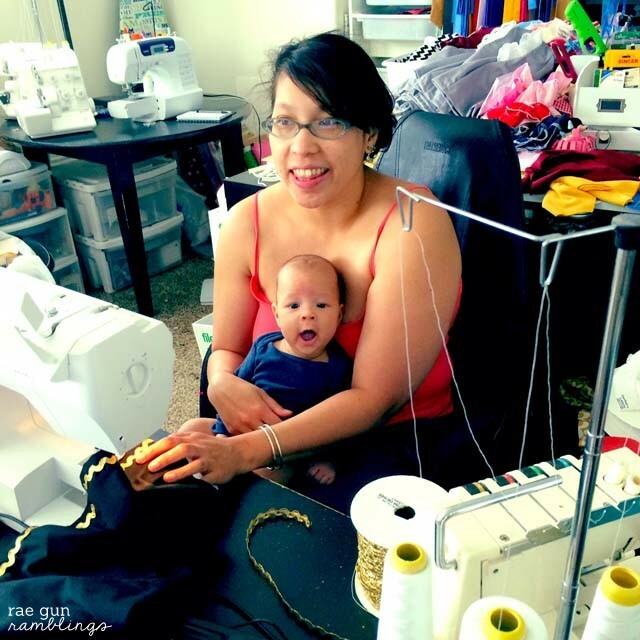 We all sew for so many different reasons and with so many different backgrounds and we thought it would be fun to share our own stories. Whether we are perfectionists, graduates of design school, self taught, wing it types, or what have you we all have our reasons and they are all legitimate. If you have followed me much you know that I sew A LOT. I have a business sewing. I sew for my family, friends, etc. But I am by no means a perfectionist. I definitely do not fall into the perfectionist camp. And for me that works because most of what I sew is simple. Don’t get me wrong it’s complicated to someone who can’t sew at all but it’s not like I’m tailoring suits here. And the one time I did a suit-ish jacket well it was very much a hack and attack job. 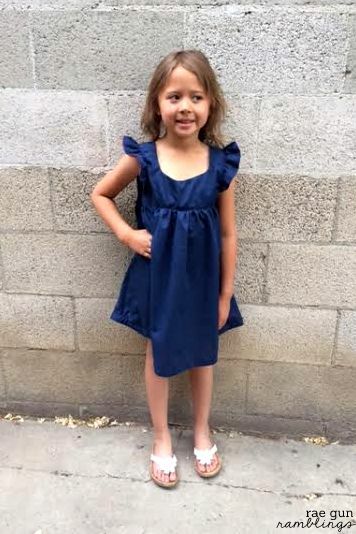 I learned to sew in after school classes in a Jo-Anns Fabric store. My sewing teacher was also my swimming teacher and she was awesome. I was in elementary school. I started with a simple drawstring bag and then a shirt for my neighbors baby (which was WAY too big) and slowly worked my way up. The fanciest thing I made was a velvet jacket. It was quite gawdy, purple velvet and gold buttons. My tween self thought it was awesome. She taught proper techniques but at the same time let us goof around and wing things. Sewing was fun. It wasn’t until I got married and signed myself up for a community ed sewing class that I really got back into sewing. My teacher there was awesome. She has degrees in sewing and knows all kinds of techniques and proper stuff but she was never a stickler. She’d say stuff like “do you want to know the proper way or the fast way” and “you wouldn’t see it (the mistake) on a galloping horse” and one of my favorites, “it’s not a mistake it’s a design feature”. 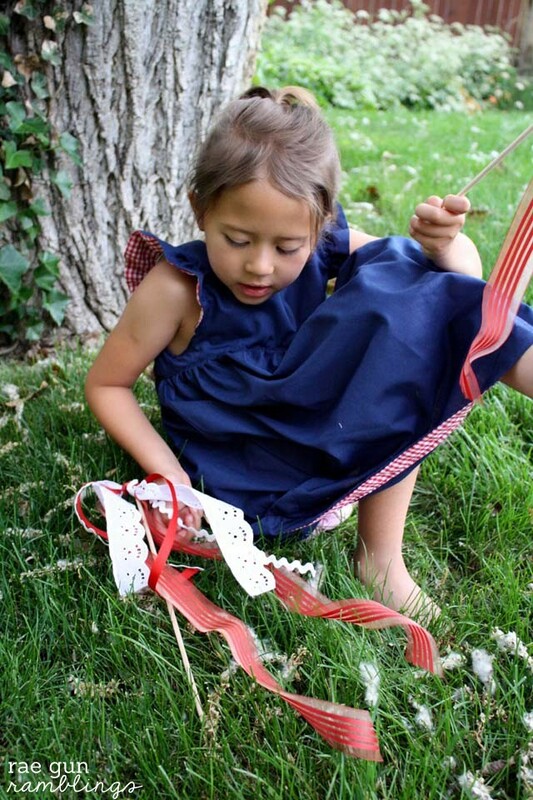 She made sewing fun and accessible. She’d usually explain the proper way so I knew it and then go on to show me the quick and dirty method since I always wanted the fast version. I am definitely a quick and dirty sew-er. I am not a master finisher. Do not ask to see the inside of my garments they are a mess, but you know what they hold together and they look fine (or at least good enough for me)… most of the time. 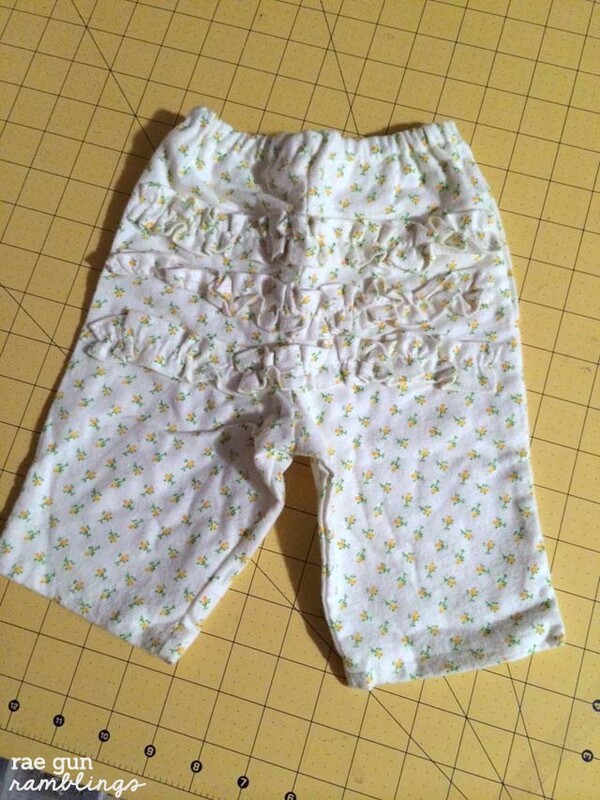 Some times things turn out a little wonky, like when I sewed the sides (instead of the inseams) together for baby pants I made for my niece but at least I tried and now I know better. This is one of the times I actually pulled out the cursed seam ripper. I hope that those of you who are just discovering the sewing world won’t be scared off by mean people who try to make you feel shameful for posting pictures or sharing techniques when the final product isn’t perfect. I think we should all where our creations with pride. Because the thing is, even for those like me who will always be of the quick and dirty tradition, the more we sew the better our skills will become. The more we try things out and share with each other the more we’ll all improve. If you pride yourself in finishing work I applaud you and I’m excited for you. I on the other hand have been known to cut off sleeves because I hate the seam ripper. That’s just not me and I know I’m not alone. When I share tutorials I share the way I do things because I know there are others like me that would just stop sewing and creating if the only option was to have it be a contest in perfection. We thought it would be fun to share some our pictures of our beginning projects if you have any you can link up here! Photography is one of those things that I so desperately want to be better at. I’ve taken numerous classes on how to use my DSLR camera and I pin photo inspiration of images I love. But it’s hard. I see my pictures and I can tell which ones are better than others but when I go out to shoot them I don’t necessarily know if they are going to be some of the ones I love or just good enough. Until now. I was lucky enough to review a book that my friend Alida of Alida Makes wrote about photo styling with children: Style That Kid. Her her book is about improving your pictures of garments you have sewn. I used her tips on my post from yesterday and I love the results. 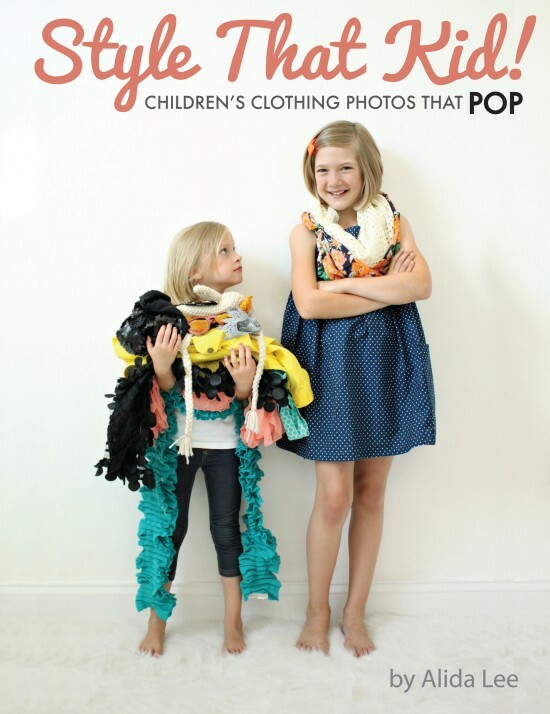 While her focus is on those of us who sew clothing for our little ones and being able to take pictures that adequately show them off, anyone one wanting to improve the photographs that they take of their kiddos can benefit from this ebook. What I love is that she gives very practical tips to run through to set yourself up for success. As I read the book I found myself saying getting excited that she finally decoded what I was drawn to in the pictures that I loved. It might sound silly but I felt empowered, like I finally had concrete things I could do to make sure my photographs captured some of the awesomeness of what I saw in person. She lays out easy steps to take and things to think through so that your photos really pop. I haven’t had much chance to implement everything I learned but you have to check these before and after pictures that Alida’s readers sent her after using the techniques taught in the book. They are night and day. I am so excited to keep working on using everything I learned in my future photo ventures. Learn more and buy your own copy here. 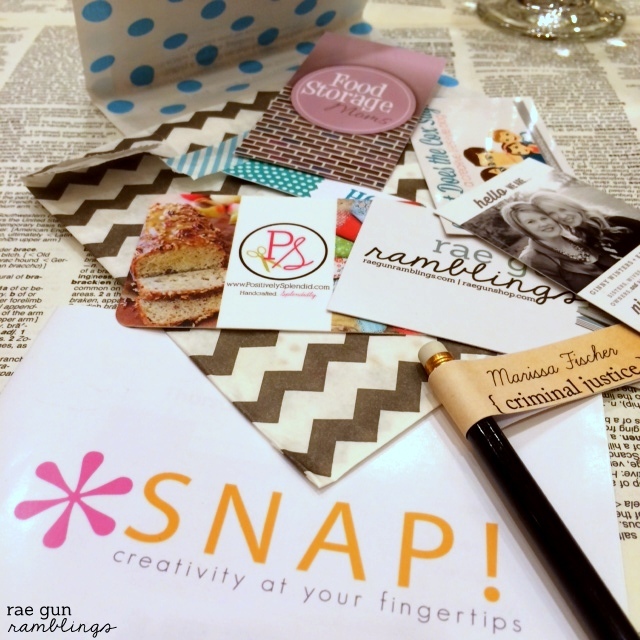 If you follow me on Instagram and Facebook you know that a few weeks ago I went to the creative conference SNAP! I bought my ticket knowing I would have barely 2 month old but I figured at that age they sleep all the time. 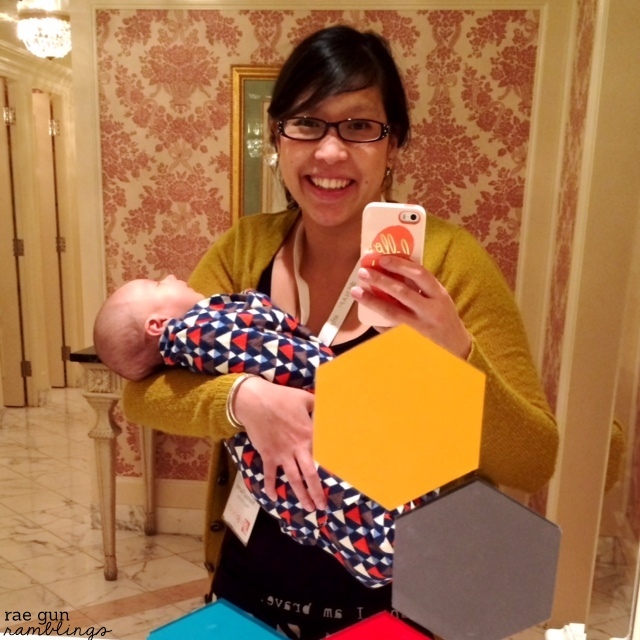 I just assumed that I would wear the baby in my DIY Moby carrier or pouch sling. Or that he’d sleep in his car seat in the stroller and be passed around. But after Teddy graced us with his presence it quickly became apparent that that was not going to happen. My baby doesn’t sleep during the day. Okay every once in a while he might but it involves lots of holding, bouncing, walking, shusshing, and constant but patting. Even still the process is peppered with crying, not exactly the ideal temperament for toting to a conference where people will be trying to learn and network. Some of Teddy’s fan club: Bev from Flamingo Toes, Vanessa from Our Thrifty Ideas ans the support team, my mom and daniel. But so many of my friends were coming and I was REALLY looking forward to this weekend. So I set out to get this boy to sleep. 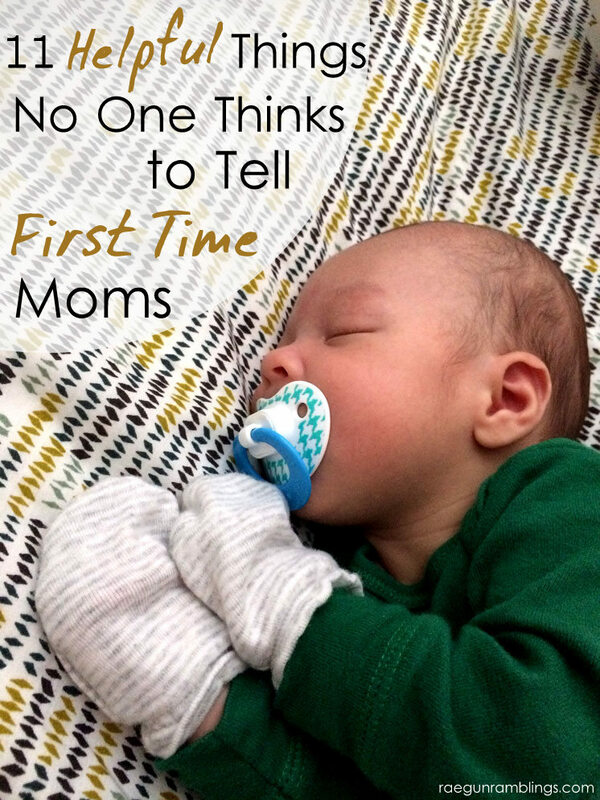 We tried antacids for his reflux (it made him even crazier), I cut dairy (it seemed to help a little), but in the end I just knew if I was going to do SNAP! it would be mostly without him. So I set to pumping like a mad women since all the milk I had stored up in anticipation of the event was full of dairy and in the end my mom and hubby really took charge. Watching the baby most of the day and then camping in the hotel lobby in the evening so that I could feed him a little and let my friends who were planning on seeing him snuggle. I am so grateful to have a supportive family that really made it work for me because I really loved my time at SNAP! 2014. Yes I adored meeting so many incredible brands. I soaked up tons of knowledge for improving my blog as well as my clothing business. I had a wonderful break and time with friends that most of my interactions are limited to online. It was everything I hoped it would be. 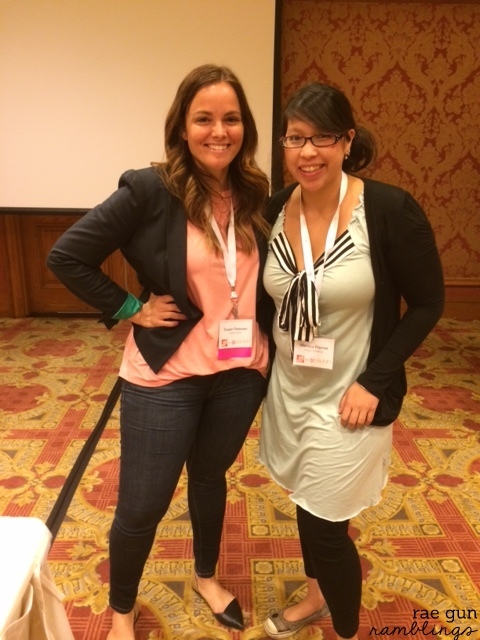 The lovely Lindsay from The Cottage Mama ans Melissa from Melly Sews. And how cool is that backdrop made entirely of foam!? But the lesson I value most? That I am a very blessed cookie. I was on the brink. When people say newborns are hard they aren’t kidding. In fact the word hard is not strong enough. I was so burnt when I went to SNAP! it wasn’t hard at all, I wanted, needed the break. But being away really gave me an appreciation for my mom and husband who bent over backwards for me to have those experiences and for my silly sweet boy. It was just the medicine I needed hearing my friends, online acquaintances, and new contacts gush over him and want to hold him. It reminded me that I don’t “have to” hold him all the time. I “get to” hold him all the time. And I type this coming off of one of the harder days so far with Teddy and I’m still beyond deprived of sleep. I still need breaks (or at least showers). And I definitely need help from the grandmas (goodness I need help) but the reality check that I got from those few days at the conference really gave me a much needed perspective fix. I’m not sure if that made sense but I’m grateful for it any ways. So as we head into Mother’s Day weekend. Happy Mother’s Day to those of you who have been through this. I 80% believe you when you all say it will get better and I will survive but until then I’m happy to have this unexpected lesson from SNAP! this year. I’m so excited to be going to SNAP! in just a few days. 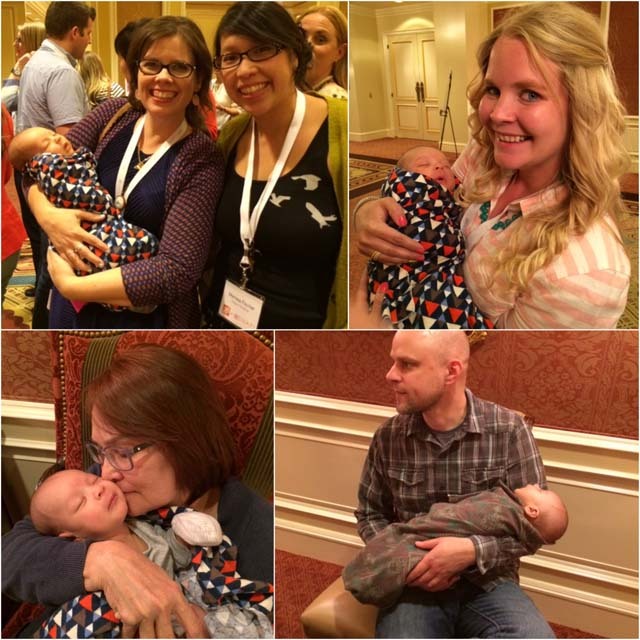 Okay if I’m honest I’m pretty nervous about juggling the baby and the conference but really I LOVE this conference and I’m so excited to see old blogging friends that don’t live around and meet new ones. 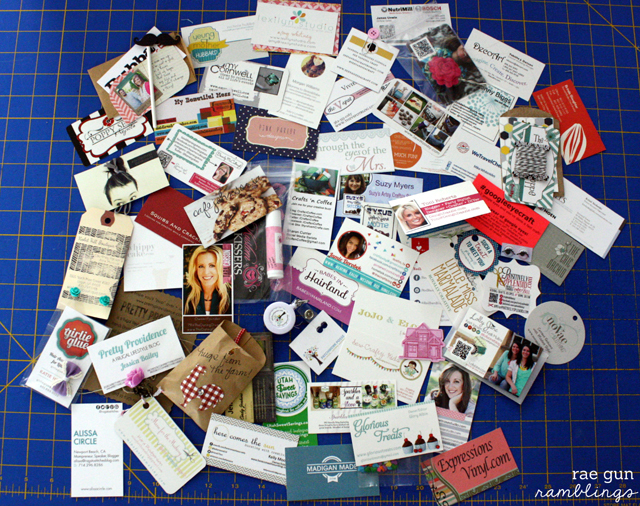 One thing that goes hand in hand with blogger events is business cards. When bloggers get together there will be business cards exchanged and it gets to be a pain to dig in your bag to get the cards out or put the ones you collect in so I’ve made these fun blogger business card cases for a few of my friends and myself. 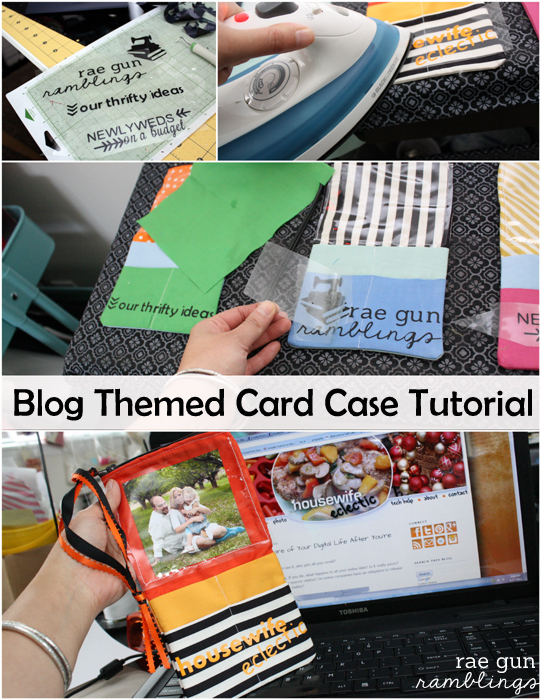 I use the color schemes of our blogs and have a nice big clear pocket for a picture. It’s funny because you walk around with all these bloggers but you’re used to seeing their little picture and a lot of times you’re not sure if it’s the same person so I like to have my profile picture that I use every where in the pocket so it helps people recognize me better. There are 8 outer pockets that are business card sized. When I’m out networking or meeting new bloggers in bulk I have my cards in one pocket and put the cards I receive in another. And of course I put our blog names on them too. But the biggest thing is that these little bags work great. Also some bloggers are overachievers and like to have funky shaped cards or give swag out with their cards so I have a nice big pocket that I can throw those in there. I also like to keep a few pens there and when I had bookmarks I stored them there. (I’m so bummed I didn’t have time to update my bookmarks this year, guys newborns are serious time suckers!). 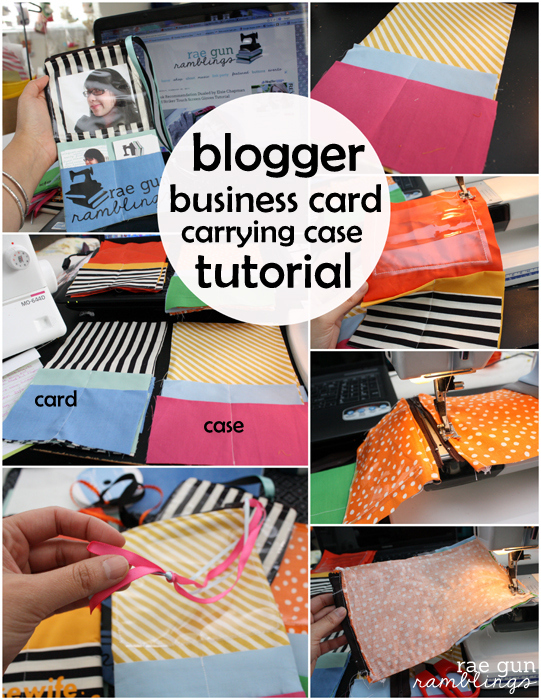 I’ve considered selling these, you know like custom making them for bloggers but until I get that going here is a tutorial for my blogger business card cases. If you would like me to make a custom one for you feel free to email me about a quote. Fold and iron your pocket pieces in half. Position them on your main fabric pieces. Sew a straight line down the middle of the pocket pieces. Sew your clear plastic piece around the two side and bottom edges. 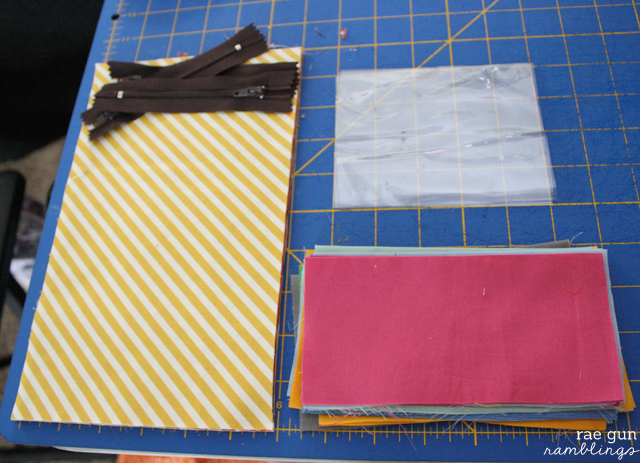 Next fold under the top edge of the main fabric and sew it to your zipper. Then with the zipper in the open position and the fabric right sides together sew around the 3 edges of the bag making sure to catch the main fabric and the pocket fabric. Now right side out the bag. Loop a few long pieces of ribbon through the pull of your zipper. You want the ribbon to be long enough that you can loop it through the side of your purse so that your bag can hang there. 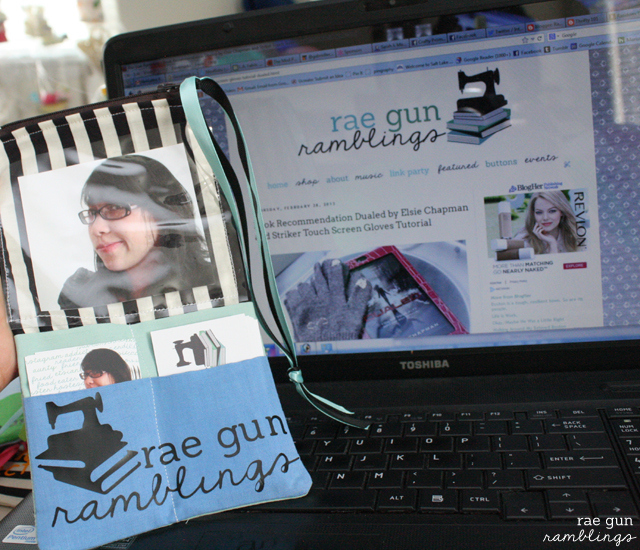 Then make yourself a heat transfer of your blog name/logo/whatever you want. You can do this a cutting machine like the Cricut Explore. If you’ve never worked with heat transfer vinyl it’s fantastic and I have a whole tutorial on how to use heat transfer vinyl that you’ll want to check out. And iron it on! 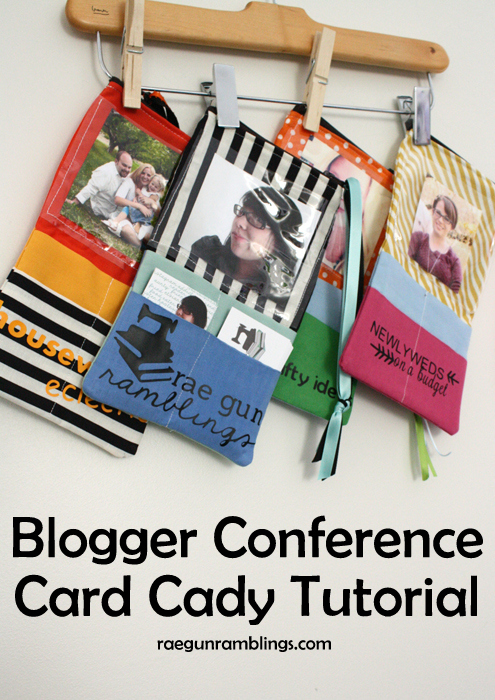 Hang from whatever bag you’ll be taking and get read to exchange a lot of cards. If you’ll be at SNAP! leave me a comment so I can try to find you. I’ll probably be all sleep deprived and delirious so if you see me please please come say hi! As I’ve already mentioned (here and here) I had the extreme pleasure of traveling to California for a wonderful weekend of shopping and friendship. 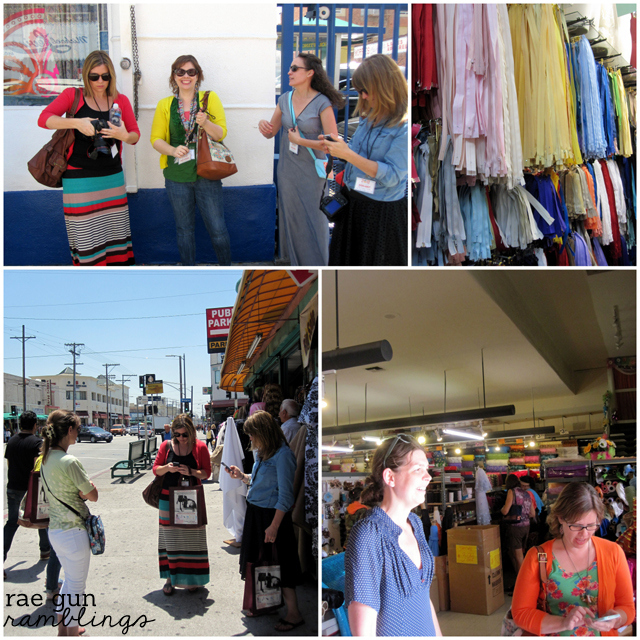 During our fabric weekend a bunch (over 20) sewing bloggers got together traveled from all over and hung out and and shopped for fabric together in Los Angeles. It was seriously amazing. In the blog world it’s fun getting to know other people who live far away with similar interest and that’s all great and fine online but when you get to meet them in person and not just that, really hang out and get some good quality time together there is just something truly special about that. And even better if you can bond over shared interest like fabric hoarding, oh I mean shopping. 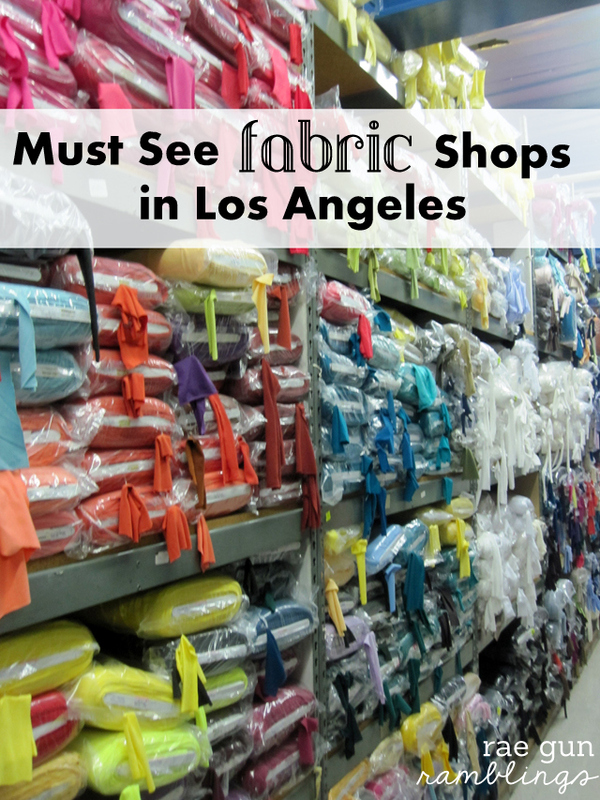 So I’m super excited to share my favorite spots for fabric shopping in La! One of my all time favorite stops was Michael Levine. This place is like a mecca for fabric lovers. They have all sorts of fabrics from quilting cottons to leather. You name it they’ve got it and the place is HUGE. They have so many amazing fabrics it was fun just to walk up and down the isles. After a wonderful lunch hosted by the store we got to tour the warehouses and saw rolls and rolls of fabric that is waiting to be cataloged and posted to their website (yes lucky for those of us who live far away they have an online fabric shop). See that cute man with the box? That’s Larry. He pulled this Valentino box out and we were all a bit confused then he told us to “touch it” and we all TOTALLY got it haha it was awesome! Apparently when they sell Valentino fabric they wrap it and ship it in these fancy (and pet-able) boxes. The store is giant and I had so much fun going through all the fabric and the people who run it are some of nicest individuals ever. I purchased my first Echino, drooled over the Liberty of London, and picked up a bunch of other great pieces. Fabric sold by the pound! Across the street they have another shop that has barrels and barrels of fabric sold by the pound. It was so fun digging through and finding hidden treasures. I was able to find all kinds of awesome knits that I am so excited to put to good use. Seriously there was something so enjoyable about going through all the tubs of fabric. See the goodies I got? After a good chunk at Michael Levine we hit the streets. If you’ve never been to the fabric district downtown there are rows and rows of stores selling fabric and notions and really any sewing supply you could dream of. And everything is priced really well. Pretty much go to Michael Levine check their stuff out and then walk in any direction and you’re bound to find even more fabric goodness. One of my favorite images of the whole weekend was when our van got back to the hotel and we spread our bags of fabric out. It was an awesome fabric pile and this was just ONE of the cars full of the girls that went with us. Since Mood (yes that Mood) has a shop in LA we made a stop there. Everything was a bit pricier than I’m used to spending but the the selection was terrific. There was a wall full of printed knits that I helped myself to and I may have snagged a bit of silk that is the prettiest fabric ever. No I’ve never sewn with silk before, yes I’m totally nervous of screwing it up, but I’m also really excited. Isn’t our group so cute! Thanks to Jess for the picture. Here are some shots of us shopping around. It really was a sewing girls heaven. I just loved walking up and down the rows of fabric shops but some notable places we popped into included Golden Cutting and Sewing Supply, which had a great selection of notions and sewing tidbits. For example, giant spools of elastic tread, zippers galore, and I got a bendy ruler for pattern drafting. 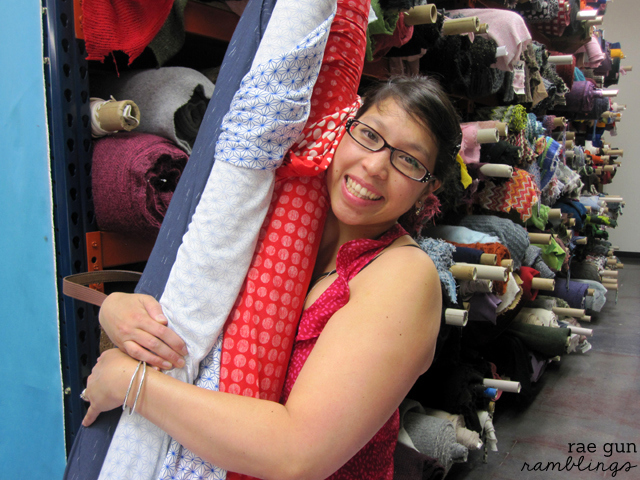 A few of us also went to SAS Fabrics in Hawthore and found some gems there as well. I scored some really cool white and gold spandex that I’m have so many ideas for. Tell me your mind is spinning right now. And of course even with all these fun hidden gems of shops it’s nice to know that there is always a Joann Fabric close by. Joann is my go to fabric shop I seriously have to restrict myself to only going a few times a week. But I can always trust Joann to have the staples that I use every day and even some fun and interesting fabrics as well. To say I had fun would be a vast understatement. I didn’t even share the fun of visiting FIDM (Fashion Institute of Design and Merchandising) seeing their amazing student projects, the project trends for upcoming seasons and their droolable textiles room which had fabrics made out of all kinds of crazy materials. 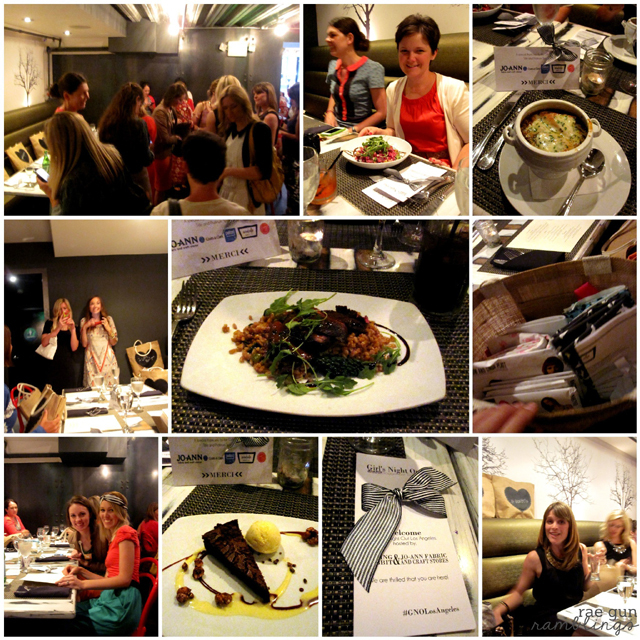 And I didn’t get to mention all the delicious meals we had (although check out pictures from our Girls Night Out here). Or the fun book talk we had over drinks and dessert (and for me calamari because as you know I’m a fried food fiend) one night. I’ll have to put pictures up on Instagram because I just can’t fit all the wonderfulness here. Thank you so much to Andrea, Bev, and Justine for putting in so much hard work to give us such a fabulous time that I will cherish forever! 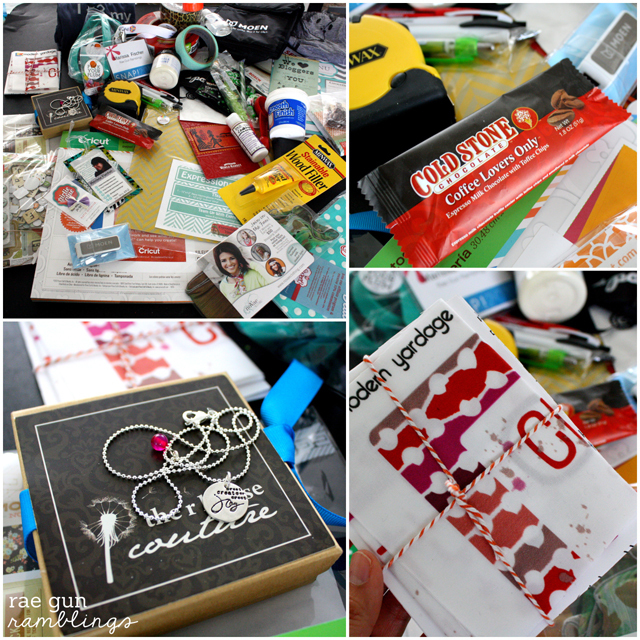 And not only did we get a great experience (and many many pounds of fabric to play with) but we have a fun giveaway jam packed full of awesome sewing supplies. To enter click here. 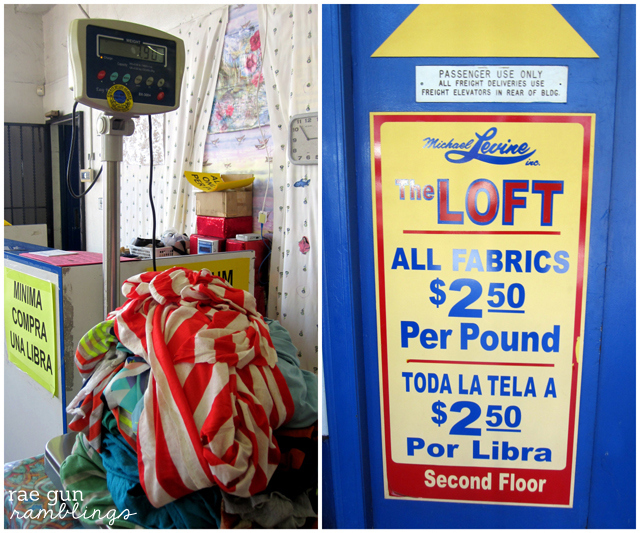 As you know I was in LA last week attending a super fun fabric shopping weekend. 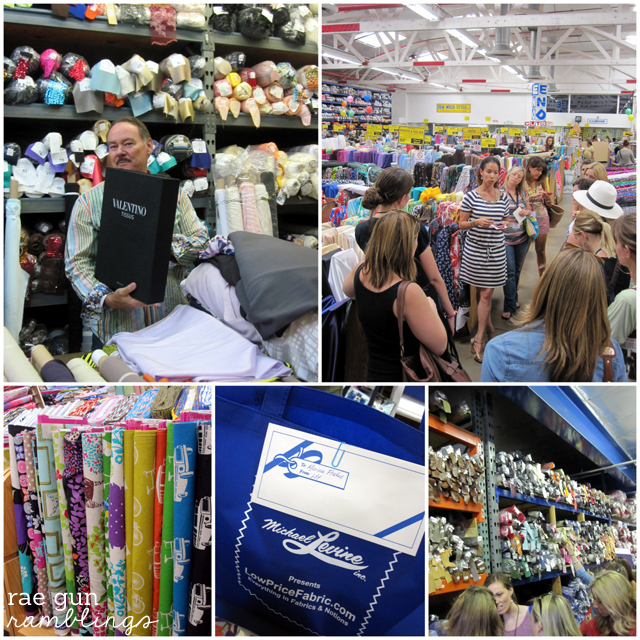 A few sewing bloggers and got together for a wonderful fabric shopping weekend. I’ll be sharing more of my fabric spoils, my favorite places to shop for fabric in LA and and awesome giveaway later this week but we closed out the weekend with a wonderful Girls Night Out hosted by Jessica of The Sewing Rabbit. As with all her GNO’s Jess made up some awesome totes and filled them full of goodies from an amazing assortment of sponsors. We each got a bunch of fabric from Jo-Ann Fabric & Craft Stores, awesome interfacing from Pellon, Michael Miller Fabrics gave us all fabric from their newly released Violet Craft line, there were also the cutest thread spools lined on ribbon and samples of Phoomph from Coats and Clark, a whole charm pack from Dear Stella Design, and 5 great patterns were from McCalls. 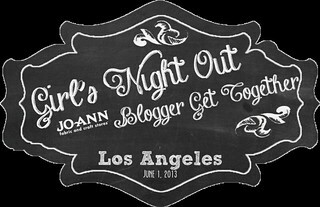 See loads and loads of pictures from the La Girls Night Out at Jessica’s and also check out her Girl’s Night Out Giveaway that has 11 awesome prizes perfect for crafty girls. In other news, I finished reading Eat to Live which preaches a diet high in plant based foods so while I’m not interested in following the plan to a tee (basically vegan-ism with 1-2 servings of animal based food a week) I am feeling very convicted to get more vegetables into our diet. If you’re interested in healthy eating or losing weight it is a very interesting read. So here goes. 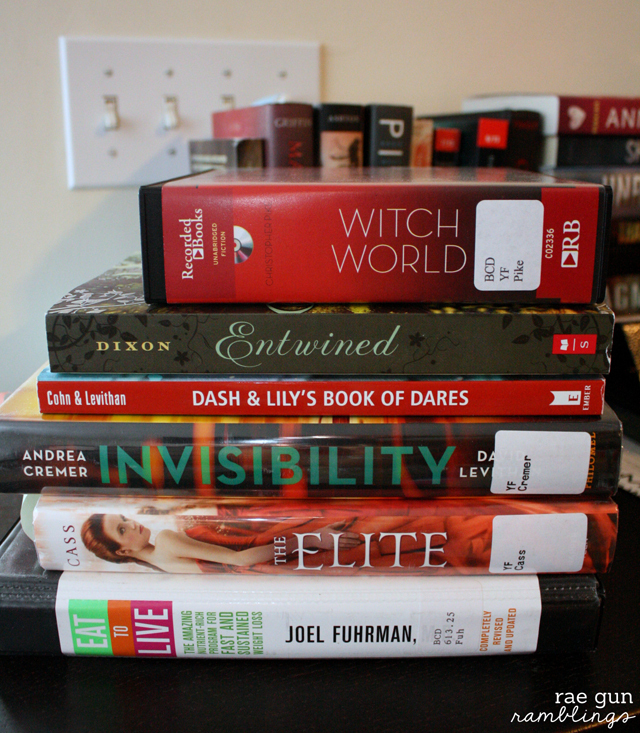 It’s been a while since I shared the books I’ve purchased, received for review, and borrowed from the library but before that if you missed the super giant huge book giveaway I’m co-hosting be sure to check it out (13 books including Divergent and Matched plus a few bookish goodies). I am about to get on a plane to head to California for a weekend full of fun fabric shopping and friends. I am so so excited. 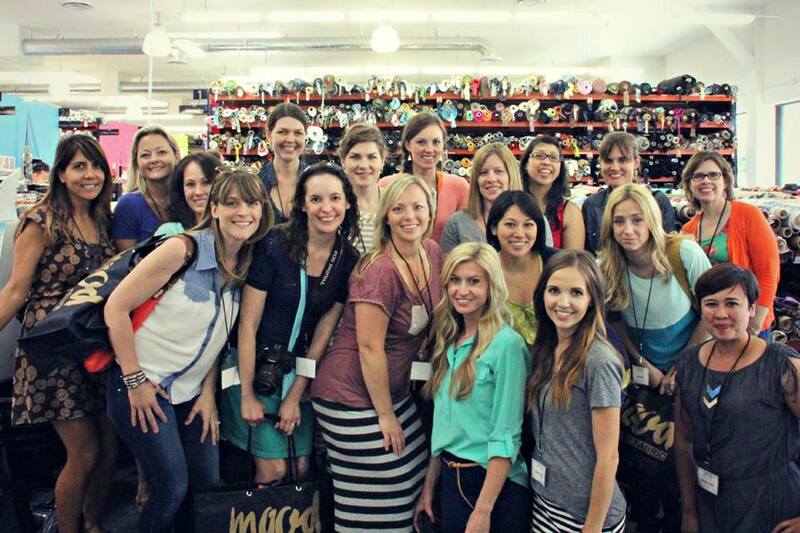 I’ve been to the Los Angeles Fabric District ages ago by myself (on public transit) but having the opportunity to hang out and shop with over 20 of my favorite creative blogger buddies, you just can’t imagine how much I’ve been looking forward to this weekend! Andrea from The Train to Crazy and Go To Patterns and Justine from Sew Country Chick have been setting us up with some great sponsors and shops to visit. Michael Levine is a staple in the Los Angeles Fabric District. They have a main store, the upholstry fabric store and the Loft where you can buy fabric by the pound, I’ve heard of people walking out with bags and bags of goodness. Thankfully they have a great online store as well since I’m only taking 2 suitcases. Their online brand is lowpricefabric.com and you’ll love it. Thank you to Jo-Ann Fabric and Craft Stores for sponsoring Fabric Weekend 2013. With all the fabric options I’ve had through the years Jo-Ann is still my go to place since I know I can find exactly what I need. While I’m there Jessica from The Sewing Rabbit is going to be hosting another Girl’s Night Out. 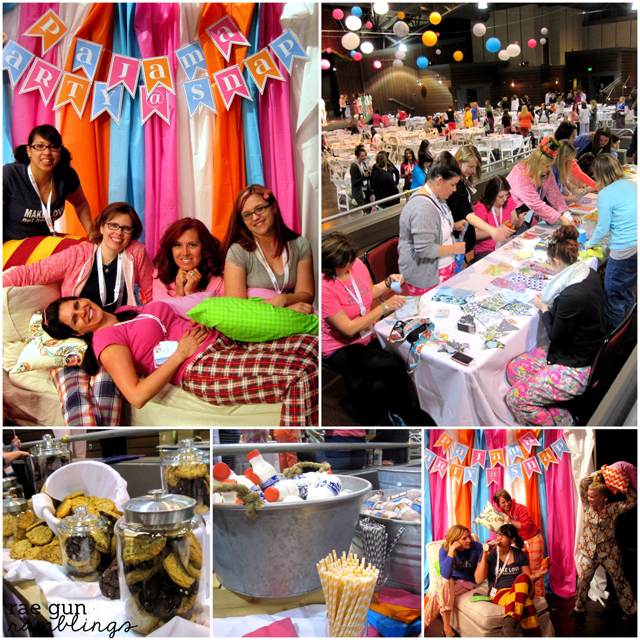 I was lucky enough to attend the one here in Utah that corresponded with Sewing Summit last year and it was a blast! Delicious dinner, good conversation, and meeting other like minded creative folk. And for those of you Project Runway fans we get to visit Mood Fabrics. I hear that they have a new and improved store in Los Angeles that is stocked full of great apparel fabric. And they have an online shop too so you don’t have to feel left out! Wish me luck and check in with my Instagram or Twitter I’ll try to post some peeks into the weekend when I can! Check out everyone elses’s pictures too by viewing the hashtag #fabricweekend2013. And check back in tomorrow when I’ll finally be sharing my mermaid pants tutorial! Crafting in our PJ’s complete with milk and cookies – and yes I did make myself Harry Potter jammies (tutorial to come) – finally got to hug Bev from Flamingo Toes and Kara from Mine For the Making in person! I know you’re saying, Marissa wasn’t SNAP! two weeks ago? And you’re just now posting this? I know I know. Things have just been a tad non-stop but I really had so much fun and learned so much at SNAP! that I wanted to share. Better late than never right? This is going to be kind of a rambling post so the pictures might not relate to the paragraph below but there were so many great moments I wanted to include them all. the swag there was SO much! If you don’t already know SNAP! 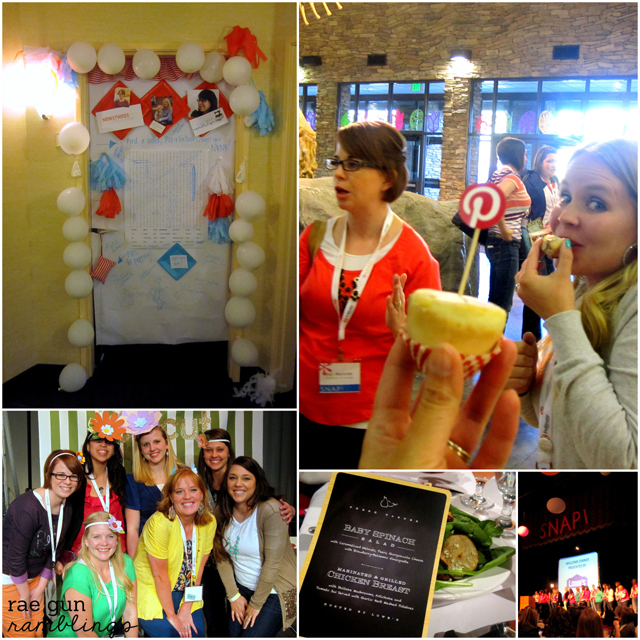 is a creative blogging conference held here in Utah. 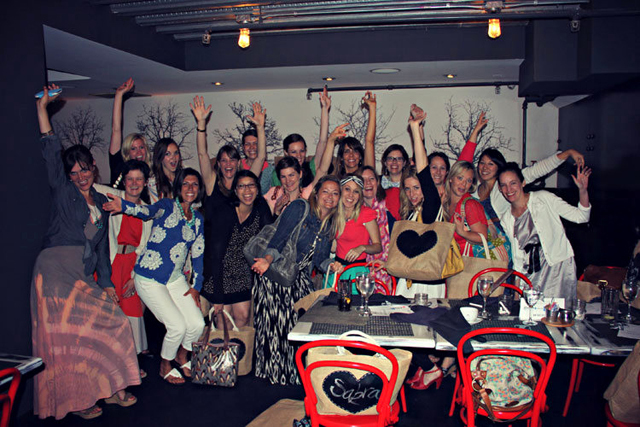 Bloggers (and brands) from all over come, hang out, learn all kinds of things, and connect. This was my first official conference and I loved it. I met so many awesome people. And let me just say there is just something so wonderful about finally meeting friends that I’ve only known through my computer in person. I learned so much I have a notebook full of scribbled notes about SEO, Pinterest optimization, Instagram, photography and more. It was this great source of knowledge and I just sucked it all in. I’m not going to lie though, that amount of info-dump was at times overwhelming. It’s like who can think of ALL of those things at once, AND actually do them? Some times these people seemed super human. But then it all sort of clicked for me. Blogging is just like exercising. The things that are most important for me as a blogger are the ones that I’ll actually do. I tried a spin exercise class once and hated it, so while it may be an awesome workout it doesn’t work for me because I won’t do it. In SO many of the sessions I heard the message “figure out what it is you like to do, and do that”. Yes as a blogger you should have a presence in a variety of places, update regularly, be aware of your key words, and photo lighting, etc. but what’s most important is what you are actually willing and going to do. In the same way that I’ll force myself to do cardio and eat veggies I’ll try and keep up with the parts of blogging that aren’t my favs but there’s just something so nice about picking a few areas that really do get me excited and putting most of my energy there. 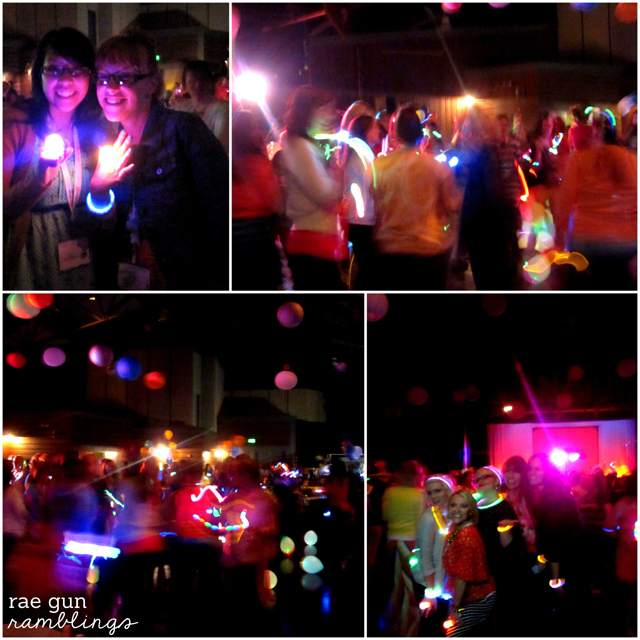 It all finished with a giant dance party. 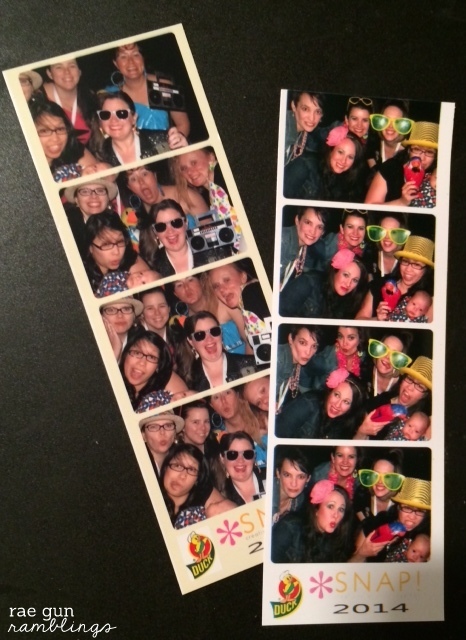 Got some good time with Elizabeth from Sew Chatty and played in a photo booth – And it was all such a blast! For any one considering going to SNAP! or another blogging conference or even bloggers get together I say do it. Meeting with like minded ladies who get the whole blogging thing from the inside was a breath of fresh air and a whole lot of fun.